Silly and serious, big and small, frightening and friendly-scarecrows created by our Nashville community will invade our gardens again this fall. 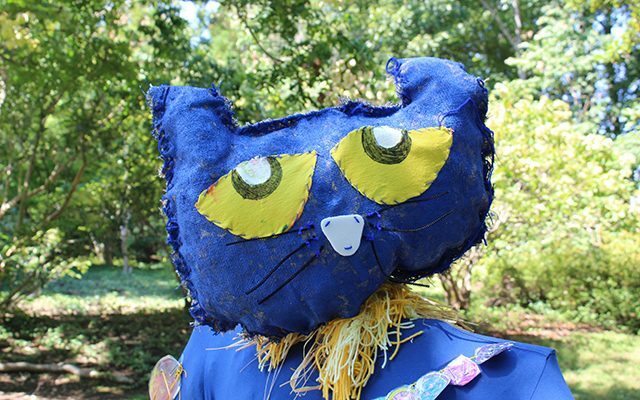 We invite the community to get in on the fun of Cheekwood Harvest by assembling a group within a school, workplace, church or neighborhood and designing custom scarecrows! 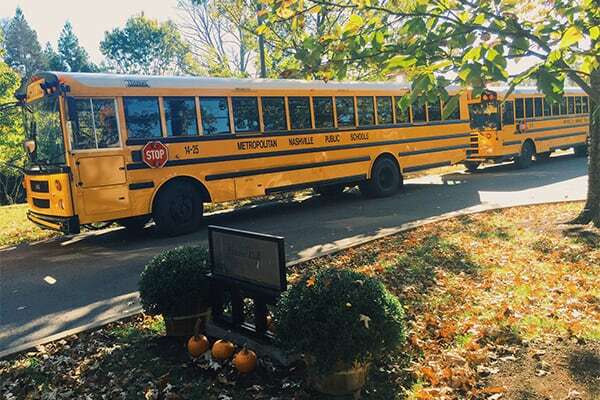 Destination Cheekwood is a weekend outreach program that brings Middle Tennessee public school students (K-5) and their families who are facing economic hardship to Cheekwood for a day of art, garden, and historical experiences and activities. Transportation, admission, programs, and more are completely free, giving families the opportunity to enjoy the best of Cheekwood’s season festivals. Destination Cheekwood partners with Middle Tennessee public schools based on students’ financial need, representation of underserved communities, and potential for Cheekwood’s programming to complement school curriculum. Public schools in Davidson, Williamson, Rutherford, and Wilson Counties are invited to apply, with priority given to Title I schools and schools with a high percentage of low-income or English language-learner students. For questions or more information, please contact Nathalie Lavine at nlavine@cheekwood.org or at 615-353-6972. As a TRIAD Community Partner, Cheekwood engages in a staff training, modifies existing programs, and develops evidence-based supports and resources for use by their guests. By providing support to families through direct teaching and practice, and by providing ongoing support to local organizations, TRIAD is developing a dynamic network to help families feel comfortable navigating their own community.